I don't understand why girls are so mean! I have been around long enough to go through a few ordeals and I can only ask, why must girls be so cruel? Does it make them feel better to make someone else sad or hurt? I hated school. I went to more schools than I can count on one hand. I was always the new girl and never really fit in anywhere. Girls were mean to me to the point where I was even in a few physical altercations. Thus, why I had no interest in attending college. I just remember how nice I tried to be. I tried to make friends with everyone. All I wanted was a friend. Someone to be kind to me. But the majority of the girls in high school (excluding a few) were just plain ole' mean to me. Ironically, the guys were always nice. I became the kind of girl who stopped caring. 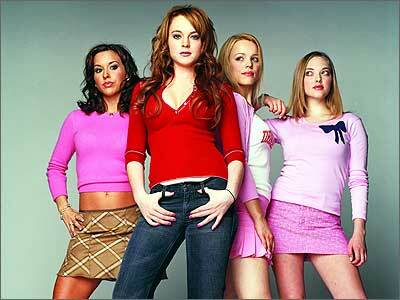 I feel for all the girls out there who are treated unkind by "mean girls". It doesn't stop at high school. I am 27 years old and, still, to this day, I see people my age or older, acting like high school girls. And worse, treating people poorly. There is no reason to be rude to people for no justified reason. I can only come to conclusion that maybe their actions are out of envy. They must be lacking something in their lives if they need to try to make someone else's a hardship. It isn't going to get you anywhere in life to hurt someone else. In fact, it will only bring you down in the end. And on top of that, it only shows how unhappy or insecure or bothered you really are. I have found the most attractive and beautiful girls, are the ones who are genuinely nice and treat people with kindness. I surround my life with those kind of people. Please don't mistake kindness for weakness. Three years ago, if you were cruel to me, or the people that I loved, I would have put you in your place pretty quickly. I can remember numerous times that I did just that for (my then) best friend. Girls were mean to her for some reason. She wasn't the type to stick up for herself. It royally irked me. Watching them treat her badly was like living my experiences all over again. I would snap. I was the one in their face saying things that I am ashamed of now. Things that I won't even write now. Three years ago, I would have told you where to go and how to get there, not giving it a thought. I did not have the same mentality that I do today. Maybe it's being a mother that has softened my soul. Or maybe it is that I am genuinely happy and I understand that others are not happy with themselves or lives. Therefore, they treat people poorly. Today, I see things so much clearer. I want to be the kind of person that I would want to be friends with. I want to be an example. I know a few girls that I would like to confront and say, "You know what, you are not as perfect as you think, and your actions make you ugly." But in saying that, I would do nothing more than fuel their behavior. I would be no better than them. I want to be a kind, understanding person. I will turn the other cheek, so to speak. That is the way I want to be. I don't want people to think of me and say, "She was the one who always had something nasty to say." or "She is a negative person." I want to spread love and forgiveness. I forgive all those girls who were mean to me. I am nowhere near perfect. I have been guilty of doing or saying cruel things in my past, as well. But I am hopeful that I can keep becoming a better person. You won't see me putting others down in a status. You won't see me judging people. You won't hear me talking badly about my friends. I love this. I also was always the new girl too. We moved about 10 times before I graduated. Not the greatest for making friends. I find that I distance myself from people who talk about others behind their backs. I know they're talking about me the same way. I wish more people had the same thought process as you! i love this and think it is so true. i just don't understand how and why some girls can be so mean! i have seen so many girls bully others... for what reason!?!?!? arghhh. anyway, just wanted to let you know how much i agree with and love this post!